People in the UK drink 70 million cups of coffee per day. So, it’s no flavour of the month - coffee is here to stay, making it an ideal format for personalising with your branded message. Choose from instant coffee in sachets or flavoured coffee in glass jars with personalised labels. If you're out to impress we can personalise pouches containing a wide range of ground coffee or freshly roasted whole beans. New! 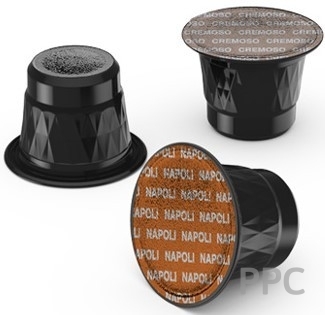 Personalised Coffee Pods and Capsules too!